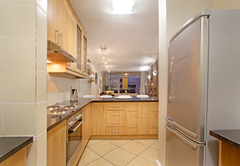 Seaside Village L11 is a property providing self catering in Big Bay for up to 6 guests visiting the Blaauwberg region. 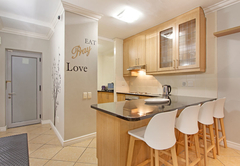 Seaside Village L11 is a beautifully decorated apartment situated in Big Bay, Bloubergstrand. 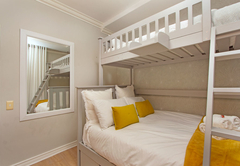 The apartment is within walking distance of the beach and is equipped with everything you need for a self catering holiday. 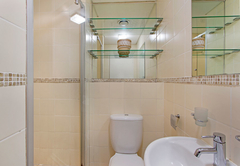 Seaside Village L11 Holiday Apartment has two bedrooms. 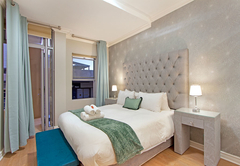 The main bedroom is furnished with two three-quarter beds which can be converted to a King-size bed. 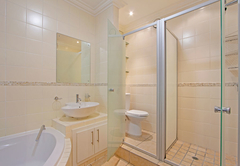 This room has an en-suite bathroom with shower and corner bath. 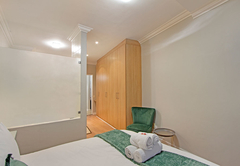 The second bedroom has two three-quarter beds and makes use of a separate bathroom with a shower. 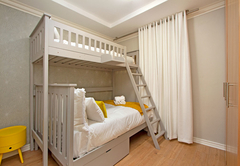 There are also two sleeper couches that can convert to double beds. 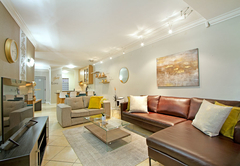 The open plan living area is beautifully furnished. 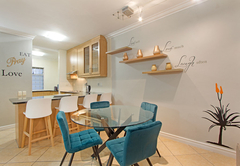 The lounge is equipped with DStv and there is a six seater dining table to enjoy meals at. 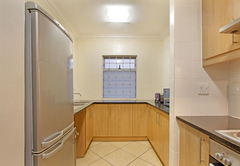 The kitchen is well equipped with all the appliances and utensils required for self catering. 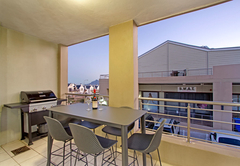 The living area opens onto a balcony with a Weber braai. Secure parking is provided. 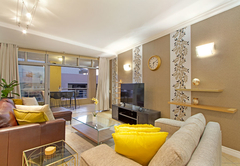 This apartment is located near Eden on the Bay, which offers a number of restaurants and cocktail bars. 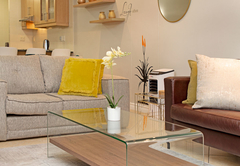 A 20 minute drive to the city centre will get you right in the hustle and bustle of things. 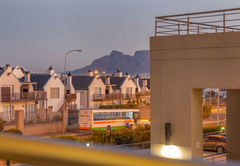 The MyCiti bus is also available. 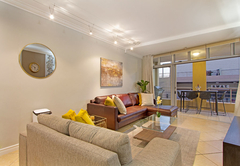 Stay in the exquisitely decorated two-bedroom apartment in Big Bay, Bloubergstrand. 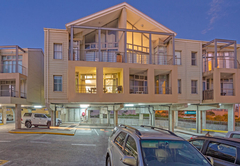 This apartment, within walking distance from the beach, is equipped with everything you need for a wonderful, self-catering stay in Big Bay. Response timeSeaside Village L11 typically responds to requests in 5-10 minutes.